It is currently one of the largest suppliers of integrated HCI appliances in the market. It has coined the term ‘Hyperconverged’ in 2011 itself. Omnistack is an integrated product based on a Cisco, Dell, or Lenovo server. It has a rich set of global multisite data management functions along with always-on global deduplication architecture. 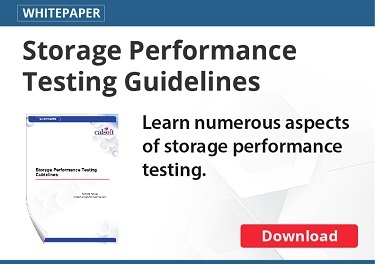 It proves to a strong candidate, especially if your requirements include petabyte-scale storage. Its space-efficient data protection may reduce the overall costs as well. Relatively newcomer with small market footprints, but overall a strong competitor. They were one of the first vendors to address the concerns about data reduction efficiency. With its flash-based architecture it allows independent scaling of its compute and storage resources. However currently it supports only Hyper-V and integration with Microsoft’s environment. EMC along with its partner VMware has an extensive portfolio of Hyperconverged solutions. Its Hyperconverged product VxRail is a combination of x86 servers, VMware VSAN software, and value-added EMC software. Built on a microservices-based distributed architecture and extensively based on open source. It is one of the newest entry in Hyperconverged vendor list. It uses distributed version of the KVM hypervisor and ZFS file system services. Despite its relationship with SimpliVity, Cisco launched its product HyperFlex in the HCI market. HyperFlex has deep integration with the Cisco UCS management architecture. Hyperconvergence is relatively a newer technology; hence you must do your due diligence before selecting a vendor. Here are a few key points which I feel one needs to consider before finalizing a product or a vendor in this space. Companies considering hyper-converged infrastructure should already have some sort of data center infrastructure in place. None of them would be interested in completely discarding and replacing their entire data center infrastructure. Even they will not want them to run like two different silos. So any enterprises evaluating Hyperconverged solutions should lookout for products which completely integrates the new solution with the legacy environment. Any data center solutions should be scalable. But Legacy data center systems are not designed to be scalable. System downtime, complex planning, and expensive consulting resources are some of the major challenges in scaling a legacy data center environment. A good Hyperconverged infrastructure should be easily scalable. It is not possible that each and every individual system in a data center should be available 100% of the time. To achieve a target of even 99.999% of availability you need to consider the entire architecture of the datacenter. There would be cases where you may have to bring a system offline due to some maintenance activity. At that point in time the Hyperconverged infrastructure solution you’re considering should have the feature of High Availability and to move data around to accommodate individual device outages. It is not a mandatory requirement for all organizations, as not all of them need a multiple hypervisor support. But if the product you are evaluating has this feature its most likely will give you a piece of mind. Most Hyperconverged vendors who do not have this feature are planning to add the additional support for alternative hypervisors on their product roadmaps. Data protection is a crucial aspect in short listing Hyperconverged vendors. Data protection starts at the hardware level where we talk about RAID adapters, data mirrors, and other local data protection methods that protect data on the server. At the 2nd stage it talks about traditional data backup and recovery technologies and at the final stage it addresses complete disaster recovery systems. Most of the Hyperconverged solutions in the market provide protection till hardware level, but some of them provide a complete solution.